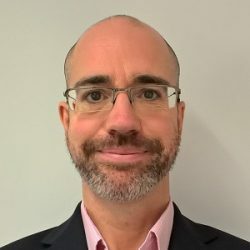 Dr Kevin Barrett is a General Practitioner in Rickmansworth, Hertfordshire and Clinical Lead for Gastroenterology at Herts Valleys Clinical Commissioning Group (HVCCG). The first medical job Kevin had was in gastroenterology and he has maintained an interest in this clinical area since becoming a GP in 2002. He is particularly keen to find ways to improve the detection and early diagnosis of all forms of Inflammatory Bowel Disease. He is the current Royal College of General Practitioners and Crohn’s and Colitis UK Clinical Champion for the 2017-2019 Inflammatory Bowel Disease Spotlight Project. In November 2017, Dr Barrett became chair of the Primary Care Society of Gastroenterology. Dr Barrett was diagnosed with Crohn’s Disease in 2005.